DeWitt is an independent Swiss watch brand based in Geneva that produces highly exclusive watches. The DeWitt watch brand is 100% independent and each watch produced by the Manufacture can be considered as a rare piece of imperial watchmaking. Indeed, Jérôme De Witt is a direct descendent of Napoleon the first and, without being himself a trained watchmaker, has achieved to produce extremely sophisticated watches. DeWitt watches are all developed with a similar and very strong DNA that can be recognized on all of its main components: watch case, watch dial and watch movement. 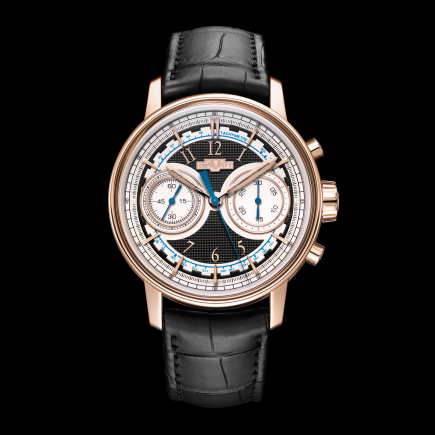 The DeWitt brand is positioned in the higher price segment of rare watches due to the complexity of its developments and the very limited number of watches produced. Naturally, you will never find much stainless steel in DeWitt watches but rather a generous usage of gold. You will only find them on sale in a network of specialized retail partners proposing exclusive watches. The two main collections of the DeWitt brand are the DeWitt Academia collection and the DeWitt Twenty-8-Eight collection. The watches in these two collections are all limited edition watches in rose gold or in white gold and most feature a tourbillon complication. The emblematic DeWitt Academia collection, recognizable through its powerful golden case with imperial gold columns, is designed mostly for men. Whereas the DeWitt Twenty-8-Eight collection of watches proposes a design with slightly thinner lines, 48 gold columns, and also several jewellery or high-jewellery variations. 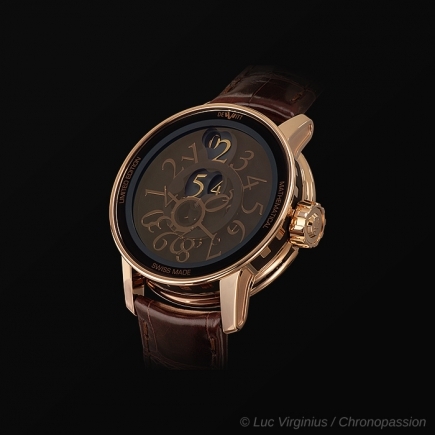 Jérôme de Witt is one of these profoundly passionate men that has followed his dream and created his own watch brand. The DeWitt brand was built around Jérôme de Witt’s passion for mechanics that goes far beyond automatic watch movements, chronograph or even tourbillon complications. Jérôme de Witt proposes a different point of view on watches. 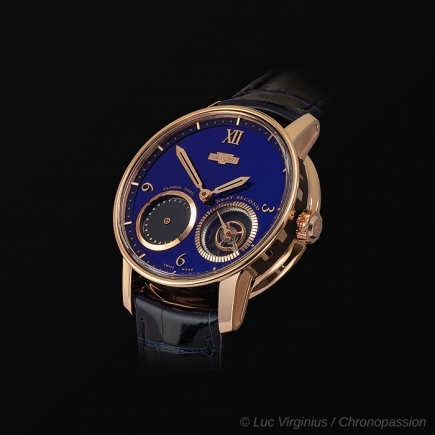 Jérôme de Witt is simply passionate about the mechanical universe in its entirety, whatever the price. Over the years, Mr de Witt has not only restored personally numerous old car engines, but also put together an impressive collection of all sorts of tools used in the fabrication of high-end mechanical watches. Part of Jérôme de Witt’s collection can be found in a beautiful museum at the entrance of the DeWitt manufacture. Beside Jérôme de Witt, the visionary and creative soul of the DeWitt brand, is Viviane de Witt, his wife. Viviane de Witt is in charge of driving the brand from an operational and commercial perspective. Both work hand in hand to the development of the DeWitt brand, of the DeWitt point of view. Be it for the men’s watches or for the ladies watches, both imagine and create new designs, new watch complications and new powerful designs for their in-house watch dials. Jérôme de Witt’s contribution to each DeWitt watch goes beyond his passion for exceptional mechanics. Indeed, each DeWitt watch embodies a piece of imperial DNA, Jérôme de Witt being a direct descendant of emperor Napoleon the first. A DNA found in the powerful and imposing gold columns of the DeWitt Academia collection and, to a lesser extent, in the DeWitt Twenty-8-Eight collection, but also in the absolute creative and artistic freedom DeWitt expresses on its unique watch dials. The DeWitt Academia rose gold cases are simply glorious, among the most remarkable on the market. With their imposing 24 imperial gold columns, they truly display this imperial feeling and the unique Napoleon DNA of Jérôme de Witt. The watch dials of the DeWitt Academia collection are also well known for their design, their sophistication and their beautiful execution. This is due to the fact that DeWitt is one of the rare Manufactures in the Geneva region with a fully integrated dial-making unit. Once again, this enables the DeWitt brand to explore and create new watch universes with total freedom. Many of the DeWitt Academia watch dials display an elegant black colour, offering a nice contrast with the rose gold case. But beyond DeWitt Academia, the DeWitt Twenty-8-Eight golden cases are just as beautifully executed. Featuring 48 imperial gold columns (white gold or rose gold), the DeWitt Twenty-8-Eight case is slightly slimmer and more discrete. Moreover, the dials of the DeWitt Twenty-8-Eight collection are in most cases skeletonized. These dials offer a nice art deco touch in an imperial body. Last but not least, one has to mention the very unique DeWitt concept watches. Beyond watches, they can also be considered as horological machines or pieces of mechanical art. These concept watches present totally unconventional case shapes, exceptionally complicated tourbillon movements and dials with new ways of reading time. The price positioning for these concept watches is quite naturally much higher than for the rest of the DeWitt collection. Each DeWitt mechanical movement is unique, be it an automatic watch movement or a hand-wound watch movement. Yet one of the latest developments of the DeWitt Manufacture is the Academia Endless Drive. A truly unique and innovative movement, which honours the endless screw mechanism and places it centre stage on the dial of the watch. The endless screw in positioned vertically on the dial and can be observed through a large opening in the middle of the dial. On each side of the screw are positioned the hours and minutes disks, just as two big bulging eyes staring back at you. Interestingly, the rose gold Academia Endless Drive watch offers an automatic winding mechanism, which sends us back to Jérôme de Witt’s passion for mechanics. DeWitt had already presented a similar watch complication with an endless screw in the past with the Academia Tourbillon Force Constante à Chaîne. Yet the movement on this watch was manually wound and the screw served as a power reserve indicator. In both cases, Dewitt is delivering a highly sophisticated, new point of view of luxury watchmaking.